A treasure trove of artefacts belonging to the ancient Gandhara civilisation that existed from the middle of the first millennium BCE to the beginning of the second millennium CE, in what is present-day northern Pakistan and Afghanistan, were unearthed from the 3,000-year-old epic city known as Takshashila, Taksasila or the modern Taxila and are housed in the National Museum in Karachi. The history of Gandhara shows political rule of multiple dynasties over the centuries. Being a strategically located city and the centre of ancient trade routes, Taxila suffered repeated ownership conflict and was destroyed and rebuilt multiple times. 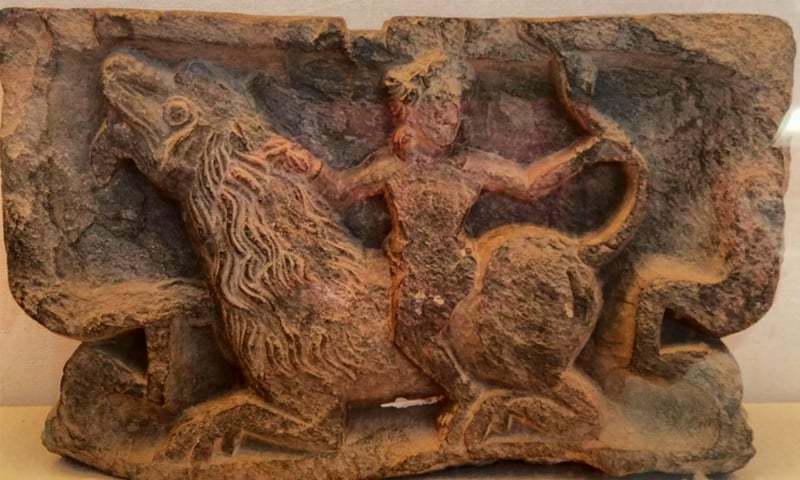 However, the artefacts discovered from the excavated ancient site of Taxila show a remarkable uniformity of native cultural traditions that persisted through the Achaemenid, Greek, Mauryan, Indo-Greek, Scythian, Parthian, Kushan, Han and Hindu dynasties, up to the Muslim conquest in the beginning of the mediaeval period. The Greek historian Arrian speaks of Taxila as one of the most flourishing among the cities that lay between the River Indus and Hydaspes (presently Jhelum) at the time of Alexander the Great. Strabo, the Greek geographer, philosopher and historian who lived in south-western Asia during the transitional period of the Roman Republic into the Roman Empire, tells us that Taxila was thickly populated and extremely fertile, as the mountains gradually subsided into plains. Another Greek historian, biographer and essayist, Plutarch, remarked on the richness of the soil. Buddhist pilgrim and seventh-century traveller Hsiian Tsang also writes in a similar strain of the land’s fertility, its rich harvests, flowing streams and luxuriant vegetation. The jewellery excavated from the ancient site of Taxila reflect the wealth of the city. Driven by its richness, Alexander the Great invaded Taxila in 326 BC and brought with him strong Greek influence to this part of the world. Interestingly, these gold items and jewellery managed to escape foreign influence and retained indigenous Indian style and designing. The warm look of the antique jewellery pieces testifies to the purity of 24-karat gold. The tempting designs, patterns, finishing and styles portray a classic Gandhara society where, in all probability, women loved to be chic. The 1,800-year-old jewellery includes two necklaces and a pair of bracelets made out of solid gold, embedded with stones, reflecting the finest level of craftsmanship. These exquisite pieces are displayed intermittently and preserved in the vault of the National Museum. Apart from gold ornaments, the relics include a large number of artefacts depicting the life, death and preaching of Buddha and the Buddhist lifestyle from first to the sixth century AD. The life-sized statues of Buddha dominate the Gandhara gallery of the museum. Some objects on display show Greek mythological characters such as the god Apollo and goddess Daphne. The tempting designs, patterns, finishing and styles portray a classic Gandhara society where, in all probability, women loved to be chic. The 1,800-year-old jewellery includes two necklaces and a pair of bracelets made out of solid gold embedded with stones reflecting the finest level of craftsmanship. This entry was posted on Thursday, July 19th, 2018 at 00:01	and is filed under Uncategorized. You can follow any responses to this entry through the RSS 2.0 feed. Both comments and pings are currently closed.